In France, 1940, an unlikely pair team up to evade the approaching Nazis. Little Jacobowsky, a Polish Jewish intellectual, has been one step ahead of the Nazis for years. Stjerbinsky is an aristocratic, anti-Semitic Polish colonel who’s trying to get to England. Jacobowsky has a car but can’t drive; the colonel can. And so begins their adventurous journey – set against a backdrop of lively and lovely songs and dances – that takes them to a carnival, a Jewish wedding, and, when the car breaks down, onto a train. Accompanying them is Marianne, the colonel’s girlfriend with whom Jacobowsky falls in love. But it is not to be. 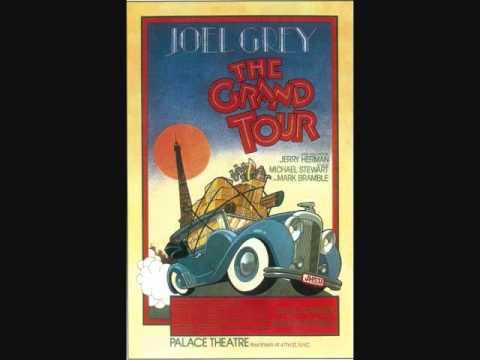 The Grand Tour premiered on Broadway at the Palace Theatre in January 1979 under the direction of Gerald Freedman.